It's Bachelor recap time! 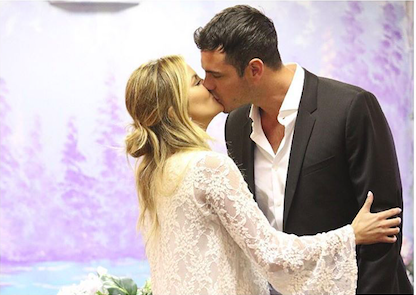 I declare my favorite time of the week is when I watch The Bachelor and my second favorite time of the week is when I recap my Bachelor watching on this blog. What can I say? I live a wild and crazy life! The week starts off with the girls hearing they will be traveling four hours away to Las Vegas. They scream in a wild frenzy of pure excitement because they're pretty much trapped in that house day and night. It's a big deal, let them scream! Ben and JoJo wait for their helicopter to arrive (as we all do when waiting to go on dates) and Ben steals a kiss or two. The rest of the girls, who are creepily watching this whole thing from their hotel window, turn away in disgust. 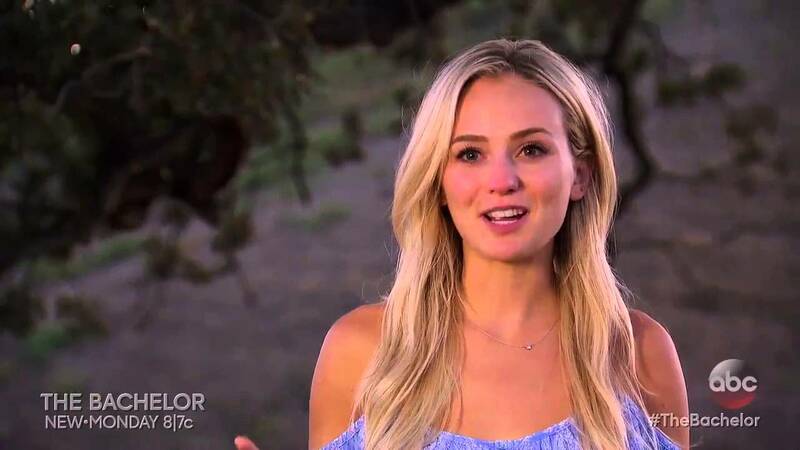 Olivia, who apparently didn't know the other girls were kissing Ben, has a complete break down. Which of course, raises the question, WHAT SHOW DID YOU THINK YOU WERE ON? Oh Olivia. You are a ticking time bomb. Nothing else really sticks in my brain from the date. It's obvious he likes her, there are some fireworks and I hold to my prediction that JoJo will be top five. I am also having a love affair with JoJo's eyebrows in case anyone cares. Group date is a talent show. Lauren B. bemoans the fact that she has no talent and I say yes, we know, you are as boring as they come. Listen, I know a lot of you like Lauren B. and I respect that but I am having a hard time giving her a fair shot. She is the most boring, plain, cute girl that has ever come on this show. Ben is so obviously gaga about her and it totally infuriates me. Really boring girls like her shouldn't be able to coast through life because they are so pretty! That should be a rule! I still feel like she is going to win (or certainly be top 2 or 3) and it just makes me so sad because she ain't got no personality at all. Twist! The girls will be performing their talents for a real live audience. They are all totally shocked because apparently none of them have ever watched The Bachelor before. This happens every season girls, try to keep up. Olivia, of course, goes for the strip girl outfit and jumping out of the cake routine. A sure winner. I know you all hate her, but this girl is hilarious to me. All of her pre cake jumping hype was HILARIOUS. I mean, have you ever seen anyone so excited to do something so weird? Olivia is the type of girl that you want to invite to hang out with you on a girl's weekend because you know she would just be off her rocker fun and crazy. The shimmy out of a cake, of course, doesn't go as well as Olivia was hoping. Ben looks kind of confused. BEST COSTUME: Lauren H. in chicken costume. Love her confidence. COOLEST TALENT: Jubilee on the cello. We all are left to wonder when she found time to learn to play the cello in the middle of her turbulent upbringing. Nothing but respect, Jubilee! Conversations that night don't go too hot for Olivia. I think it's pretty obvious that Ben's not feeling it with her. She apologizes one thousand times for weird cake thing. Ben says it's no big deal. She keeps apologizing. He tries to brush it off. She apologizes. You get the cycle, right? I do like Olivia, but she has horrible horrible judgment. I like her in a "you would be fun to hang out with and you say funny, weird things" kind of way, not in a "I think you are a kind, caring person or have any idea of how other people are feeling or would be a good match for Ben" kind of way. You still with me? 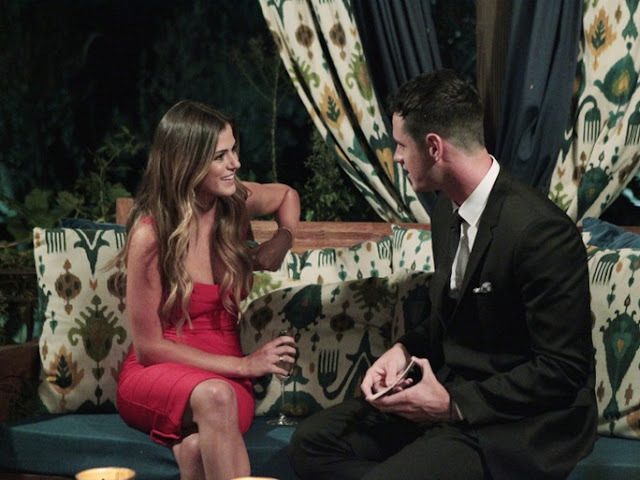 Lauren B. gets the rose because Ben really likes her even though she is so so so so boring. And pretty. Basically what I got from Becca's date with Ben is that she apparently hated Chris the whole time she was on his season. Does she have no heart? Did she not like that guy even a little bit? And then how did she get all the way to the #2 spot? Also I thought their conversation about "you are a virgin" and "I am not a virgin" was kind of endearing. I think it's sweet that he cares, and I just thought it was very genuine that they had such a frank and honest conversation about it. Not something you normally see on the Bachelor. Becca gets a rose, as expected, and I maintain my prediction that she will be top 5. Just as we think it's time for rose ceremony, the twins get their own little two on one date. I have really enjoyed the twins and I thought their commentary this episode, especially, was funny. But I totally understand how weird it would be to date sisters so I think it's a good move for Ben to say, "yah, at this point I need to figure out who I like more." The hanging out at their house with mom was maybe a little weird. I get that he wanted extra insight into who they were, but I, personally, would have hated that. Emily is the twin who wins Ben's heart and her sister stays home with mom to comfort her... I'm guessing they just ship her suitcase to her from the hotel? Um... Olivia apologizes again for cake stunt. Ben and Caila make out. (Who I thought looked SMOKING HOT in the white sparkly v neck dress. Caila totally gets best dressed in my book.) I don't remember a lot of other details and I watched this 12 hours ago so... pretty uneventful! Olivia gets the very last rose. I don't think Ben likes her anymore at this point, but my guess is she is a producer pick as their crazy Lace already sent herself home early. They've got to keep SOMEONE at least a little bit interesting on this show to keep ratings up and I concur! Once Olivia goes home I don't even know if these boring cute people will be worth watching anymore! Amber goes home. No one is shocked because she kamikazed herself last week with that stupid gang-up-on-Jubilee move. Rachel goes home too. No one knows who she is so it's a little hard to care. What do you think? Anybody else kind of like Olivia or do you all just hate her to tears? And who do you want to win?